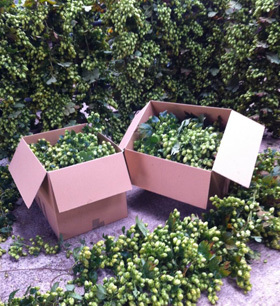 Fresh and dried HOP BINES and HOP GARLANDS available from Haven Herefords Hop Farm - hops are only £15.00 per bine. Fresh hop bines and hop garlands are available to order from mid August onwards directly from our Hop Farm in Herefordshire. 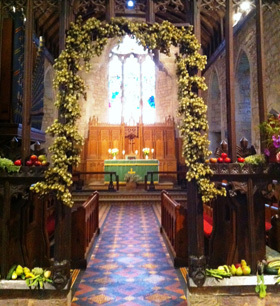 The hop bines or hop garlands are freshly picked at our farm at Dilwyn and are just £15.00 a bine. Dried hops are also available later on in the hop season. 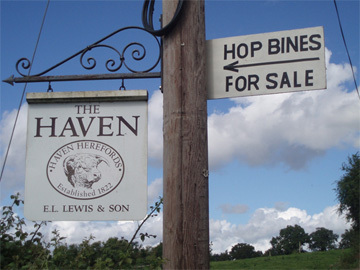 For more details please call us at Haven Herefords Hop Farm on 01544 318 255 / 07974 744660/1. 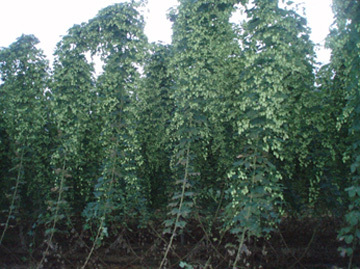 Fresh hop bines are approximately 6 feet long and are harvested during late August early September. Fresh hops are easy to cut and arrange to make the best displays and then left to dry naturally. Please call on 01544 318 255 / 07974 744660/1 or contact us at our hop farm for details of our fresh hop bines, dried hops and delivery.